That Mac OS X is one of the most valued systems when it comes to design and usability is nothing new, it is nothing new either if we indicate that the dock included in the Apple system is mainly to blame. 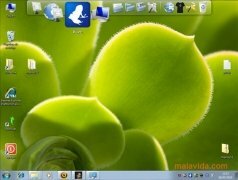 Its speed, functionalities and design have improved a lot with time and, now, with RocketDock we'll be able to have one that is the same as in Windows. 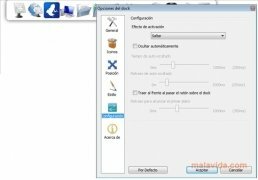 Showing shortcuts and animations that Mac OS X users enjoy will no longer be a problem thanks to the fact that RocketDock is an application that is equally usable and that's perfectly adapted to Windows. If we browse through the configuration options, it's possible to change the design, modify the animations when we click on a shortcut, activate the auto-hide option or change its position (by default it opens at the top of the screen). We can also choose the language and even if we want it to work in the background or if we want it to always be on top of any application. 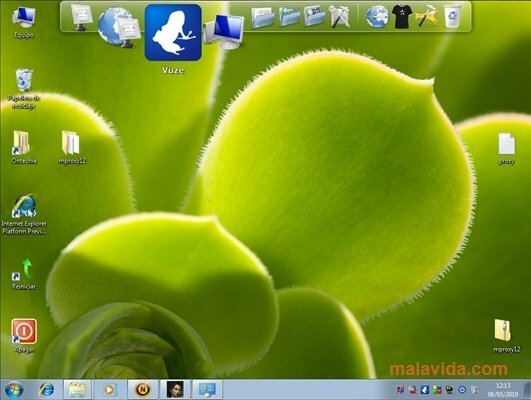 RocketDock is one of those programs that without being essential, is very advisable once you get used to using it. Check it out for yourself!